jetshop products import & update module from csv, xml, excel for DropShipping. Import products into jetshop from different files: csv, xml, excel! Update stocks & prices at jetshop using Products Importer! it is more than products importer - find a lot of really useful functions: repricing, margin setup, multi currencies support, best price selection. We develop jetshop products import modules for our drop-shipping clients. We could adopt our software (add new function, add new supplier). Tell us what do you need to do and we will offer the best way to do it. You could utilize our in-house products import software we develop since 2009. - jetshop new products creation with options ! 1. Automatic categories with hierarchy creation. 2. Automatic products, feature, options creation. 3. The best products import & update speed on the market. It allows merchants to import 1K-200K products into jetshop stores automatically. You could send us your CSV file and we analyse if it possible to import your file to jetshop using our service. 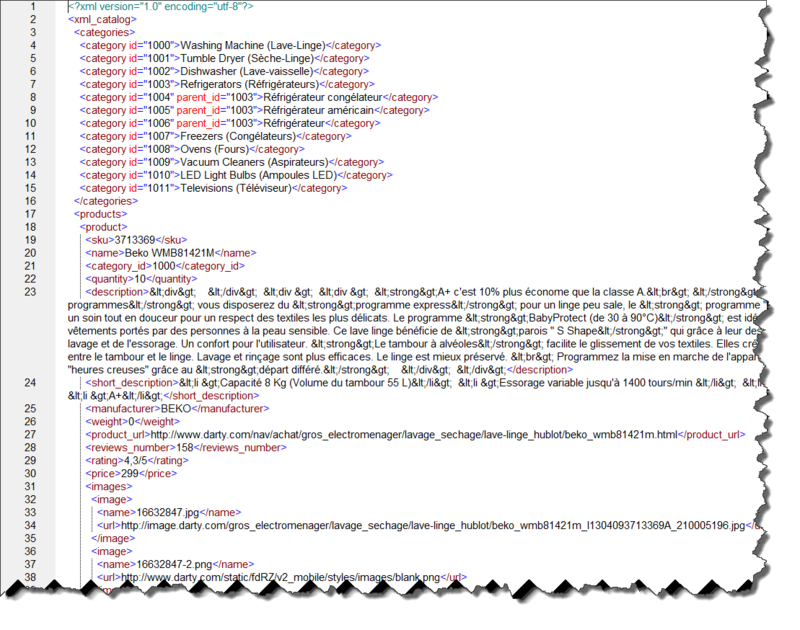 You could send us your XML file and we analyse if it possible to import your file to jetshop using our service. XML files have different schemes so it is necessary to analyse if it possible to import that file. Addionanny sometime necessary to do post pre-processing & post-processing of data from XML files for jetshop. If you start your DropShipping business you need to import products into your store. Our Application will do it for you automatically: as many products as you need. Just send us information about your supplier and we will inform you how to do import to your jetshop store the most effective way. If category does not exist (is new) it will be created in the other case creation will be skipped. If product does not exist (will be checked by SKU) it will be created in the other case for product will be updated Price, STOCK / Quantity, Availability. -	assignment to category ( 1 or many). Our Bulk Products Import Application is online service that allows client to import products into jetshop store. Integration with jetshop store is just a final function at all process. A lot of functions are embedded already and they were designed for drop-shipping business. Additionally we create custom data extraction configurations for our clients it is necessary. We built this service on top of our internal, in-house tools since 2009 and give you a way to manage feeds via web browser without any efforts and special skills. Upload suppliers feeds - csv, xml, excel. You could add even suppliers API. Setup currencies, margin, discounts etc. Scheduler allows you to update all feeds and to recalculate all prices and stocks. Receive notifications about finished reports by email. Client defines feeds to process, chooses export method for integration. We write technical specification (TS) for client's task. It is PDF document and when document is ready client receives it for confirmation. We Start development and client's account setup. It takes 4-5 working days after the payment for average project. Delivery. Client receives email that account is ready and client may work right now. If any issue client could contact manager. Mydataprovider provides professional custom software development services with a focus on bulk products import, web scraping and price monitoring, repricing services since 2009. Trust us and we will do all the best. Mydataprovider has a lot of built-in functions - it will save months of development for you. 2 times faster to market. Average time for 1 new supplier take 2-3 days! Do you support products option/variants data? Yes, we do. All variants will be extracted correctly. For example sizes, colors will be extracted with appropriate sku, price, availability. 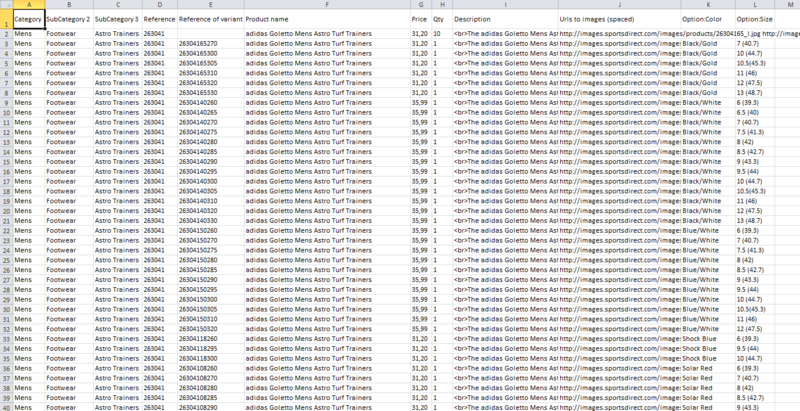 Can I import data from multiple feeds into 1 account? Could I setup custom margin for specific supplier/category/product? The same product is available at 2 suppliers (different prices and different stocks)? Do you support such case? I have my private small warehouse + work with suppliers by drop shipping. Do you support such cases?